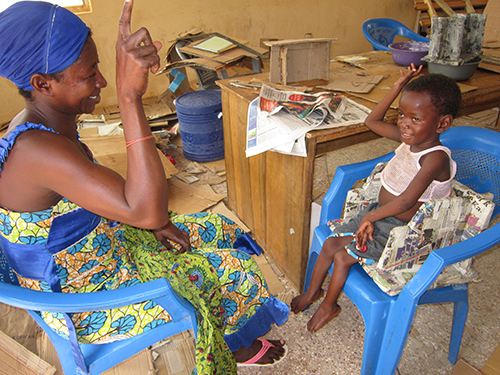 In Ghana many families have children with cerebral palsy but with less than 200 physiotherapists working in the whole country, there are very limited opportunities for treatment. 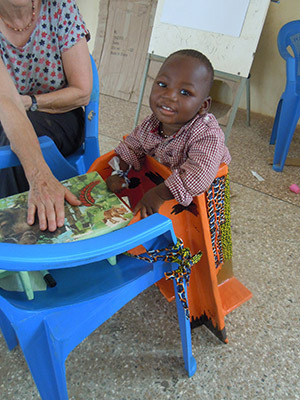 In May 2014, paediatric physiotherapist, Renate Hallett and her colleague, Diane Lyle, spent two weeks in Ghana for Cerebral Palsy Africa. What follows is Renate's own report of the visit. In May 2014 my colleague Diane Lyle and I, both of us paediatric physiotherapists from the UK, were fortunate enough to be asked to volunteer for Cerebral Palsy Africa (CPA) - in conjunction with the Christoffel Blinden Mission (CBM) and Afrikids. Our 2 week course was also supported by two young Ghanaian physiotherapists, Charity Adjety from Accra and Judith Arthur from Kumasi, who had previously been trained by CPA and funded for further post-grad training in South Africa. 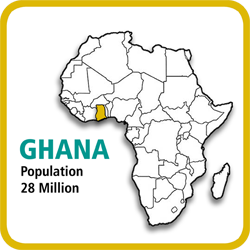 Part of our assignment was to give experience and mentor the two Ghanaian physiotherapists, helping them to become more confident clinical educators, with the view of running CP courses themselves. The purpose of the 2 week course was to give 21 Community Based Rehabilitation officers (CBR), special education officers and health professionals insight and more understanding into the complexities of Cerebral Palsy (CP) and how to practically support children with CP and their families. The trainees were helped to recognize that, although there is no cure for CP, much can be done to help children to develop their full potential and include them into their communities, in spite of their disability. A 2nd course was run, in parallel with ours, for mothers and volunteers. 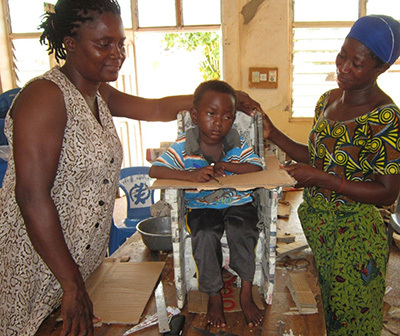 They were trained to make assistive devices for their children with CP. (e.g. special supportive chairs) from cardboard – Appropriate Paper Technology (APT). Our trainees learned how such devices can make children more functional and include them in schools. 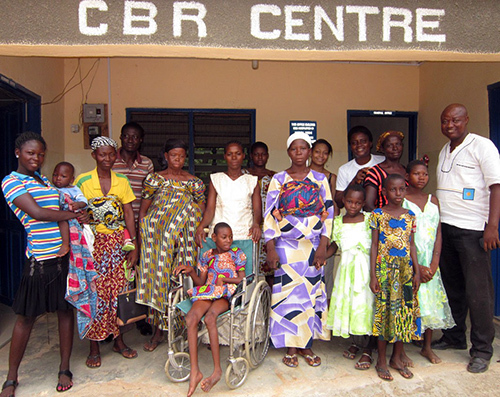 Many of the mothers and their children with CP who attended for the daily practical sessions of the course came from the area around Sirigu and had been selected by Joe Asakibeem and William from the Afrikids team and the physiotherapy technician Joseph Luguzizing, based in Sandema and working for the Presbyterian CBR team under Maxwell Akandem. The course was well attended and everybody joined in with whatever there was on offer. Judging from feedback throughout and at the end of the course, much was learned, not just by the trainees and we all enjoyed working together. Cerebral Palsy Africa would like to thank Renate & Diana for their work and we would like to thank everyone who supported this project. 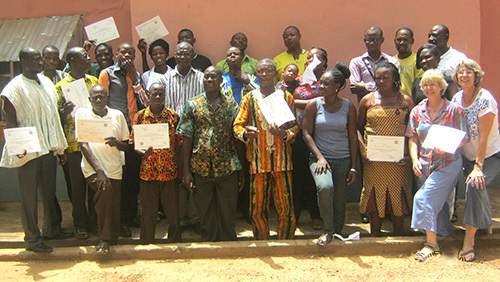 At the end of the course, all successful participants received a certificate.